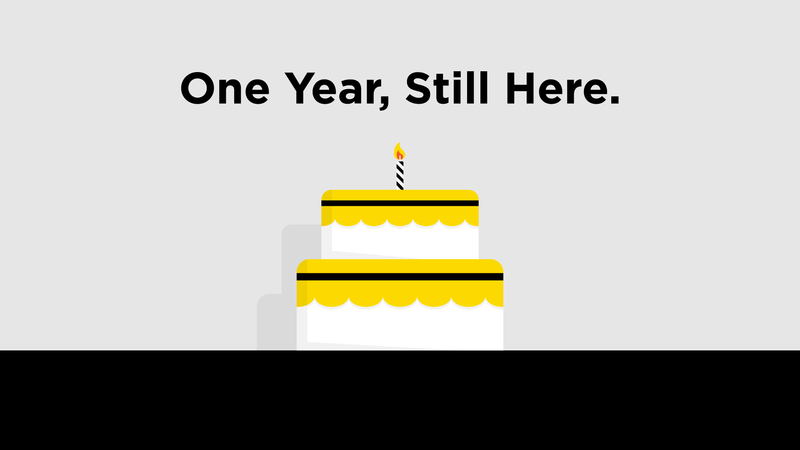 KIPP Columbus, “is a national network of free, open enrollment college preparatory public schools dedicated to preparing students in underserved communities for success in college and life”. The kids from Ms. Ryal’s 9th grade soccer came out to Mapfre on Saturday to see the team. Ms. Ryal’s team gathered at the Lamar Hunt statue before kickoff. This is a team YOU not only helped fund but also then sent to this match. 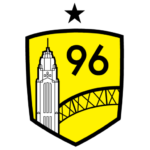 We appreciate the Community Assist ticket donations and look forward to sending even more kids to see our Columbus Crew win. 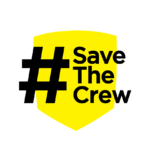 Last Monday, the entire Save The Crew movement reached new heights. The team released their official renderings for the stadium at a Ten Thousand Pledges celebration with special guest, Dante Washington! 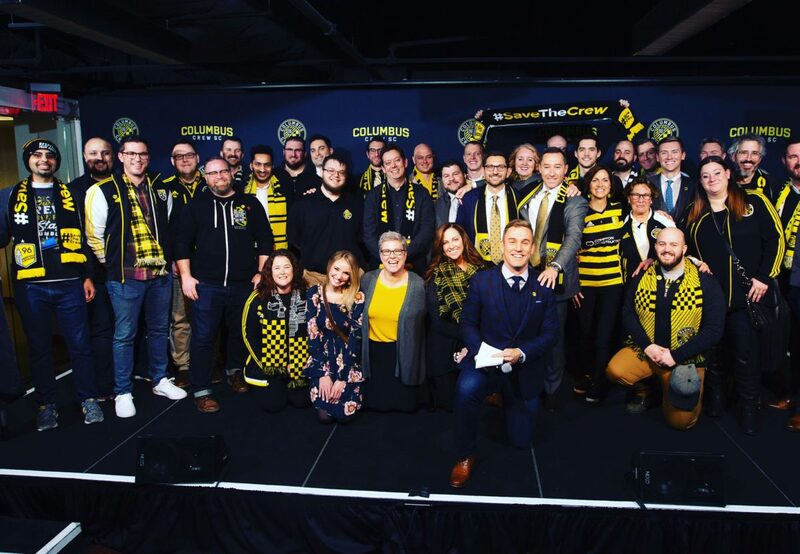 This could be the future home of Columbus Crew SC and we hope it spurs creativity and conversation around what can be possible. The stadium sits just west of the Huntington Ball-Park, in the Arena District. These renderings are best viewed directly. Further analysis can also be found at NBC 4, ABC 6, 10TV, and Dispatch. Saving Our Team and Saving Lives. 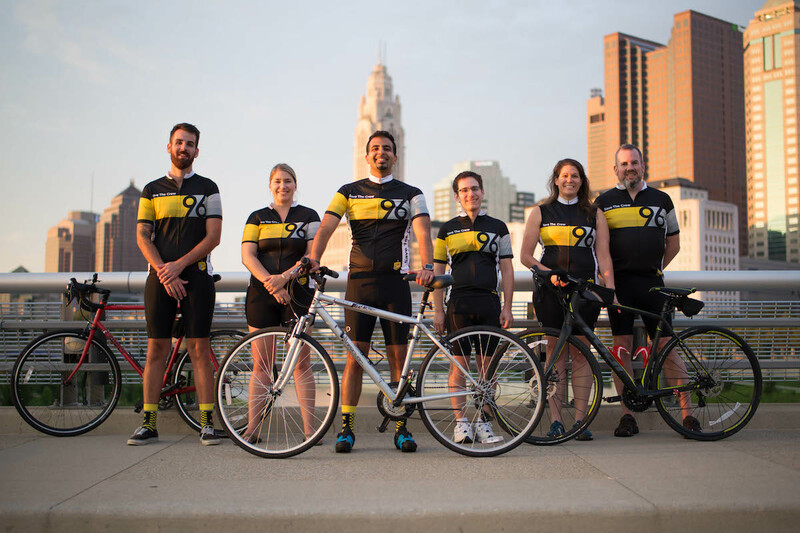 Pelotonia weekend 2018 was a memorable one for the eight members of the #SaveTheCrew peloton riding to raise money for cancer research. Our adventure all started the Wednesday before the ride with a peloton meetup. 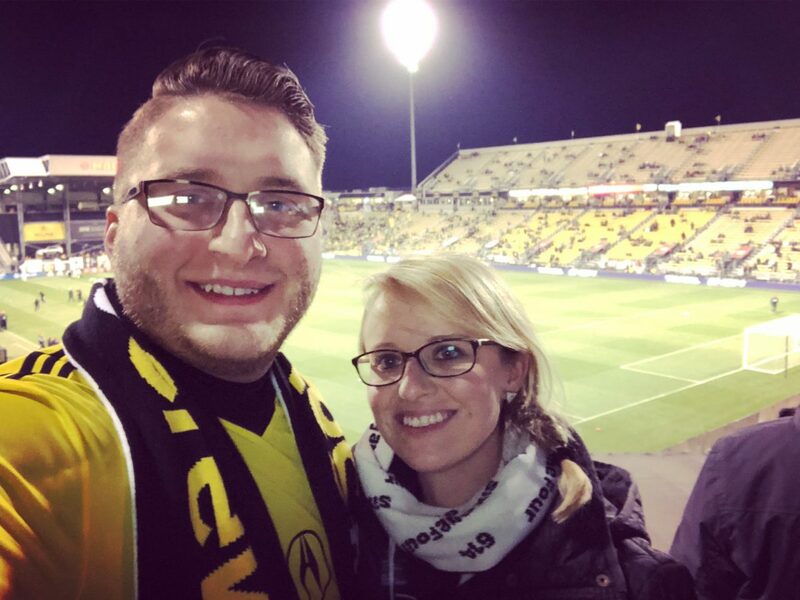 While meeting up at #SaveTheCrew business ally Land Grant Brewing Company, we were met with multiple yells of “Save The Crew”. I also was stopped and asked where I could get the amazing bike jersey I was wearing (and to answer the question I’m sure you have, they were a special edition just for Pelotonia and aren’t being sold). Continue reading Saving Our Team and Saving Lives. 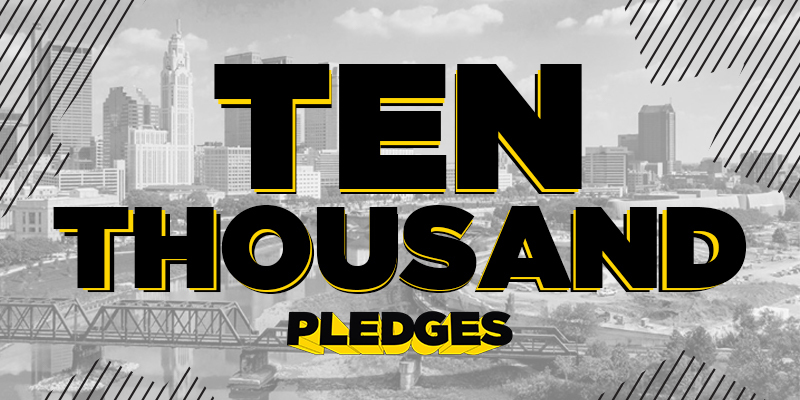 We are pleased to announce that we’ve collected over 10,000 pledges from fans who say they will attend multiple games via ticket packages as part of our Project 2019 initiative.